(CNS): The governor has said the decision by Cabinet to allow the civil service management to make the cost cutting decisions is not a cop out and that the administrative arm of government should look at the 2010/11 budget target as an opportunity to improve efficiency. Duncan Taylor said the scale of the cuts that have been made to personnel should mean there will be no enforced redundancies but that jobs will be lost through natural wastage. He confirmed it was a Cabinet decision to cut the budget and set a specific target for government to spend which has been left to the deputy governor and the civil service senior management to decide how best to achieve the cost cuts and make the service more efficient. “Cabinet has made the decision to set the targets and now the civil service is looking at how to achieve those cuts,” the governor said last week. “These are challenging times and no one likes pay cuts but this is also an opportunity to improve efficiency. I don’t want to second guess what the deputy governor and management believe is the best way and I don’t agree with people who say its a cop out," Taylor said. The governor said the target presents the service with a challenge to find more efficiency in the way public services are delivered. He said it did not necessarily mean there would be pay cuts across the board or any redundancies. The governor said he expected the cuts would come through a package of different measures and noted the legal issues surrounding salaries cuts to those on contract. delivering services under the circumstances. Since the announcement was made that the civil service had been set a target for spending on both its own personnel costs and for the operational budget to deliver services, a number of people have pointed out that these are policy decision that should be made by the elected arm of government. 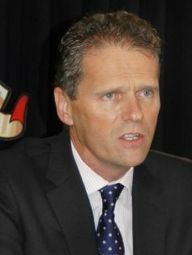 The president of the Cayman Islands Civil Service Association (CICSA), James Watler, recently told CNS that the public would now have to decide what services they could do without, and explained that while it may be possible to trim what people have described as ‘fat’ in some areas of government, many departments are already understaffed. While government is facing the need to cut expenditure, Watler pointed out that it was still asking for its programmes and policies to be carried out. “It is not possible to have one’s cake and eat it,” Watler said, explaining that it is the duty of the public sector is to deliver the services and programmes the government of the day wishes to implement. In a statement to all civil servants and the wider public last Thursday, CICSA management committee pointed out that civil servants had been handed the responsibility of deciding where expenditure reductions should be made but that it was the remit of the elected arm of government to make decisions about spending based on policy. The management council said members faced thedilemma of being asked to make cuts on one hand and a demand for more public services on the other. The government’s 2010/11 budget is expected to be presented to the Legislative Assembly on 30 April, and according to a memo from the deputy governor’s office on 30 March, with the limits on what government can spend next year, operating expenses will total around $487 million. However, government will also have to make more than $20 million in payments on its borrowing. Adding the human resource targeted cost of $219m to the target for supplies and consumables, transfer payments to statutory authorities and NGOs and other expenses of just over $268 imllion, plus loans payments of around $20 million, government will now need to earn at least $507 million in revenue to balance 2010-11 budget. At this stage there are no indications what, if any, fees will be increased in the next budget, but with government revenue still falling, it is very unlikely that any of the fee increases introducing in 2009/10 will be reduced. As usual sit back and watch as nothing happens. If you could turn the sound off you would not even be able to tell if anyone is home. What will happen when They( your Government) has borrowed much more than they can ever repay so they(Your civil service) can continue to live well above what they deserve? It is inevitable that you all will find out. You (the Caymanians) have had and still have a chance to prove that you can self govern but for how much longer? Until the money runs out. Soon I hope. Like most people I would just like to see this island get back to what looks like a place that will be nice to live in no matter who is in charge! The economic reality is simple. When costs are greater than revenue one must either increase revenue (unlikely and unwise [i.e. taxes] in a recession) or more practically, one has to cut costs. Same in any business. Nearly every civil service in every country is bloated. Like the private sector, they need to make a choice, cut salaries or cut staff!!! That is the simple reality or Cayman faces bankruptcy! And we don’t need Mr. Governor to tell us that! All on their minds is taxation! The U.S. Miller report has given better expert advise than this UK’ FCO subject. WOW more fluff again. Look here Y.E. I am NOT for independence. Yet I am not the circle of incompetent and impotent leadership either. I would say to you that you are precisely here receiving a handsome salary from the Cayman Islands Government to second and if necessary third guess everything both Cabinet and Chief Sec do. YOU are ultimately responsible and being well paid to be so. If I am responsible for something at any level, even when I am not being remunerated at all (volunteering) I make sure that I am in the know and when a project is not working, I make very sure that is does that it does work! Would the governor’s staff who read these blogs also do some real research into what exactly the people of the Cayman Island want and need? Furthermore, what are some real efficiency measures that can be implemented immediately? Cutting personnel budget by itself will not directly increase efficiency nor will reduce overall budget without simultaneous majorpolicy overhaul. Shouldn’t it be "Cuts WILL improve efficiency" ? I hope there are some salary cuts being made to top management of the Port Authority, because it is unfair for the blue collar workers to be making all the sacrifices when the highest paid employees are at the top. Salary cuts were given to ALL staff members!! So, does "no enforced redundancies" mean that bosses will not be called up and told to not renew contracts for staff? Or does that count as "natural wastage" in FCO-speak? I was wondering the same thing. Can’t these people speak in plain understandable english? Who are they trying to impress with such double talk as "natural wastage" (sounds like trash) pun intended. my 2 cents… govt and statutory authorities pay cuts were frozen for the fiscal year? ?… i did hear that right didnt i?? port authority, it seems, has found a way around this… a loophole of sorts.. though it hits nightly workers the hardest!! those of us that dont get to spend that time resting and relaxing with our …families.. our kids when they are home from school.. our wives when they are home from work..
port has decided effective immediately to cut 2 hours from every day we work.. making our schedule 6 p.m. to 4 a.m. this equates to about 15-20% of our monthly check…. gone!!! to make matters worse, if we happen to have a ship come late and have to continue till 6a.m. we will not be paid for those 2 hours but will receive compensatory time back… wow! i would love to be shown where in the labor law it states companies can obligate you to work and not pay you for it but instead give you time back when work is slow!! do you truly think that government or anyone other employer gives a $%*& about the labour law? let’s get serious. if rules were followed, this place wouldn’t be in dire straits!!! You are lucky, I work in the private sector and my employer expects me to put in 60 hours a week, when I get paid for 40. The other 20 hours we do not even get time back, it’s all for free. If it’s not done then there goes the job to some one else. Yup, private sector worker in a similar position here – all my overtime for almost the last two years has been plentiful and at no cost whatsoever to my employer… as much as I don’t like doing so much overtime for free and without time in lieu; without a pay rise or any bonuses, I do like having a job I got bills to pay and a family to feed, and would rather be like this than out of work altogether. There is no single silver bullet solution to our economic situation, rather it will take a concerted effort by all of us, to help sail the good ship Cayman in the right direction. Pay attention to our families and the root causes of crime – it will pay off in myriad ways both on the revenue and expenditure sides. Strengthen our checks and balances on Government power. Having a world power with oversight may be slightly annoying, but it has been of great benefit. The large rise in expenditure must be brought under control. The spending spree excesses must be curtailed. The institutionalized causes must be addressed. Civil Servants must make customer service a proirity and adopt a "how can i help" attitude. The people pay their salaries and wages. Take strong action to protect and enhance our existing industries, while looking to diversify our sources of revenue. (1)The Cayman Islands have a low tax burden… and (2) we have a high ratio of expenditure on Govt personnel costs BUT this is because many of the other countries have huge welfare costs that we dont have. ok 2 more cents… i am willing to work with them as much as they are me… we have already had 2 hours taken away each night.. im not so much complaining about that as i am not being paid for the time we do work.. i am taking a reduction of 19% on my next check.. during these "tough economic times"… dont you think thats more than enough already?? It is unfortunate that the Port Authority staff had to take a pay cut. But which do you prefer? Not get a pay cut and be laid off your job? Or get a pay cut and still have some income coming in at the end of the month? Like we say tough economic times. A 19% cut is tough, very tough but I say better than a 100% cut which is what is going to happen. Remember "you can’t get blood out a stone" – if we are broke we are broke and the government is going to have to do what it has to do to make ends meet. Thats one side the other is that way too many in government are overpaid way too many and we have way too many hr managers, hr assistant managers, hr helpers and the list of hr people in government departments at astronomical wages is ridiculous – and what are they doing absolutely nothing suffling paper. I am very sorry to hear this. Sadly, it will be the staff at your level that will be hit the hardest. It will start from the bottom. The juice at the top that makes the most and where the REAL cuts need to be made will barely, if ever, feel it. The well known saying, ‘Cutting off your nose to spite your face’ was made for Cayman. I want you to know that I appreciate the job you do after hours so that my drive to work is not incumbered. I presume since the civil service is going to have to face cuts/medical benefits/pensions reductions that this will also apply to those other pampered government bodies – statutory authorities (the boss of one of them is on $200,000 plus and a new car every few years) – and also seamen/veterans and prisoners. you presume wrong. why would they cut a "friend" who makes $200,000 when they can cut 5 ordinary people who make $40,000?